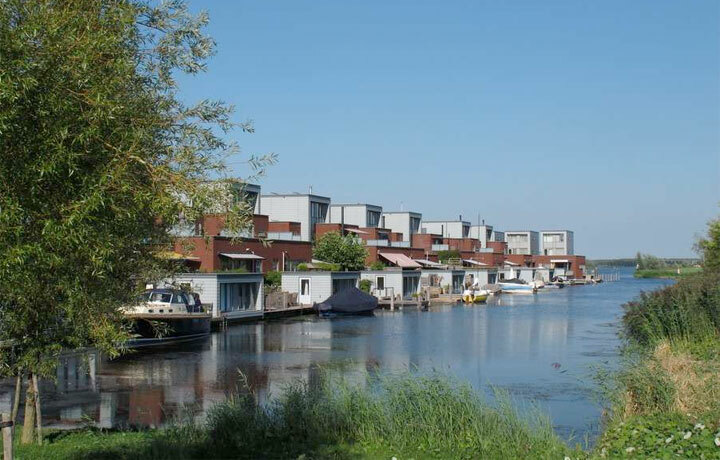 Since 2003, Thermaflex has been a major contributor to the smart, innovative and sustainable city development project of Almere in The Netherlands. The project provides low energy building for living and working, embedded in a green setting for a healthy and valuable environment for current and future generations. 60,000 - Tons CO2 reduction p.a. In cooperation with Nuon-Vattenfall, Thermaflex was able to realize that vision for Almere’s heating and domestic hot water needs. The implementation of secondary networks with our pre-insulated Flexalen system proved highly successful in terms of speed of installation, reliability and operational control. Since 2003, Thermaflex has been a major contributor to the smart, innovative and sustainable city development project of Almere. The project provides low energy building for living and working, embedded in a green setting for a healthy and valuable environment for current and future generations. In cooperation with Nuon-Vattenfall, Thermaflex was able to realize that vision for Almere’s heating and domestic hot water needs. 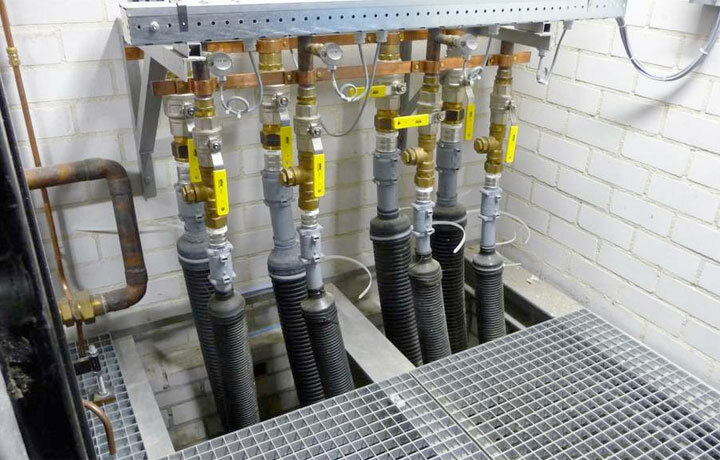 The implementation of secondary networks with our pre-insulated Flexalen system proved highly successful in terms of speed of installation, reliability and operational control. Almere is located on the Ijsselmeer, 25 km to the east of Amsterdam. The land was reclaimed from the sea between 1959 and 1968. As it lies below sea level, it has a significantly high ground water level. 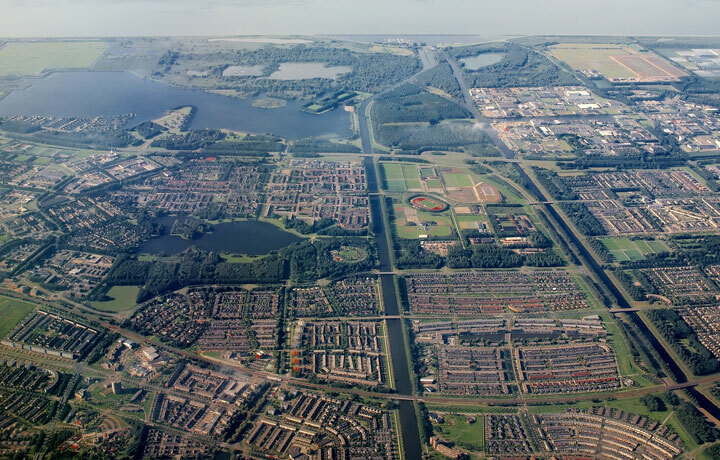 In 1979, the District Heating initiative started in Almere City. Today, the network serves over 45,000 small consumers and 660 large consumers. With 80% of buildings being low-rise (single and multi-family detached houses), as well as many apartment buildings, the neighbourhood is quite densely populated. The combination of high temperature distribution lines with low temperature distribution in secondary networks is an ideal district heating concept. The transfer from primary (130°C) to secondary (max 85°C) systems is made using indirect heat transfer stations. 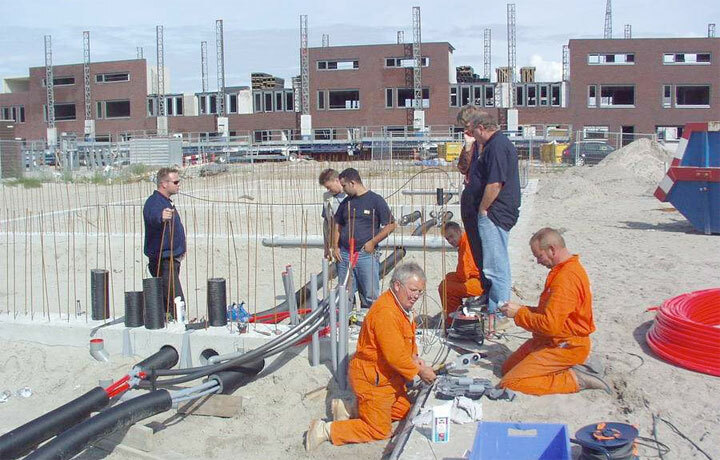 For the secondary network and its connection points for central heating and potable hot water, Thermaflex offered an all-round solution that proved ideal for Almere’s district heating network. Nuon-Vattenfall uses a temperature profile based on outside temperature that only supplies at 85°C during the coldest days of winter. This is generally no longer than 10 to 15 days a year. Over most of the year, the system functions at 70°C/40°C resulting in a predicted lifetime of 51.9 years. Wet ground conditions meant that in late the 1990s all available systems (Steel/PUR, PEX/PUR, PEX/PEX, PB/PUR) had been tested and evaluated as unsuitable. So the co-development of a new solution to overcome these conditions was needed. In cooperation between Nuon Warmte (now part of Vattenfall) and Thermaflex, the new solution with Flexalen, a Polybutene (PB) medium pipe with Polyolefine insulation and HDPE corrugated outer casing, was developed. A stringent risk analysis was carried out by Nuon to approve this new system for these challenging conditions. In 2014 the network was already serving 45.000 small consumers and 660 large consumers. 60.000 tons CO2-reduction per year. That is equivalent of the average energy consumption of 5.500 houses per year! Waste heat from CHP is contributing with 2,514 TJ and Solar thermal with 9,750 GJ. 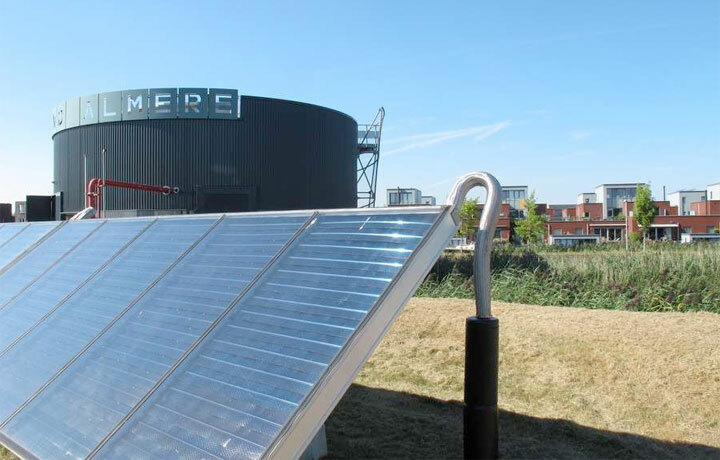 Almere Sun Island is providing heat and domestic water for 2,700 houses. 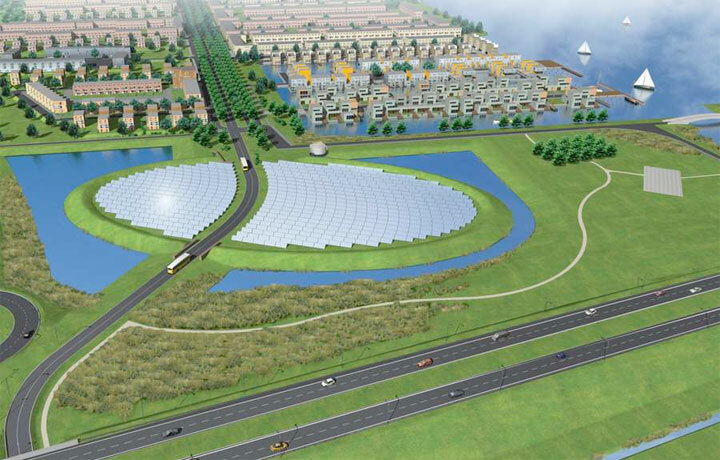 Together, the sun island and waste heat reduce the CO2-emission by 50%. Almere Sun Island with a collector area of 7,000 m² is the largest in the Netherlands.